Instagram ads not delivering? Realign your strategy with these quick tips to get back on track. Instagram advertising can generate a lot of sales. You’re smart for doing it. However, advertising on Instagram is a bit of a different show than advertising on other mediums and social networks. So it’s pretty common for businesses to find that their Instagram ads are not delivering. The good news is that it’s not because Instagram is wrong for your business. You can fix your Instagram ads and get the return you’re looking for. 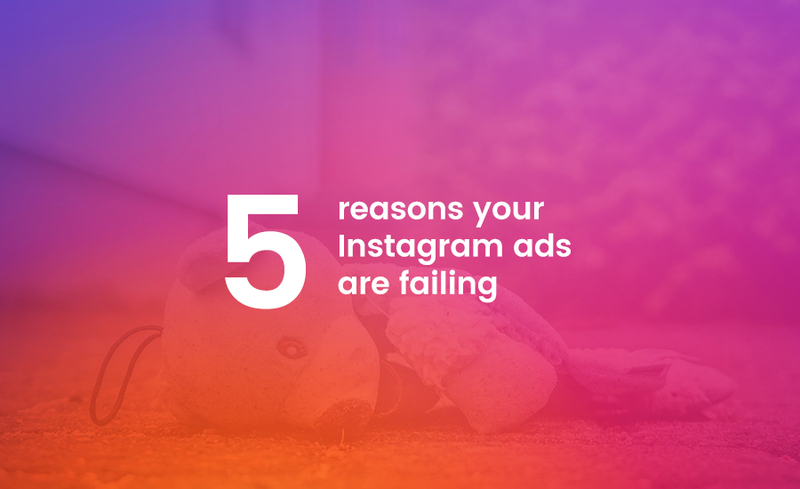 Here’s why your Instagram ads might not be delivering and how to fix it. The first thing to check when you’re working to improve your Instagram ads is to make sure they’re actually getting to your audience. If you have your ads up, but your ad spend shows zero or there are no impressions, it’s likely that your ads aren’t being delivered. The most common issues are problems with audience selection and targeting. Check your ad dashboards and ensure that you’ve got the right audience selected. Also, check to make sure that Instagram is set as the preferred ad channel. This will cure the majority of Instagram ad deliverability issues. Once your ads are getting impressions and your budget is being utilized, it’s time to make your ads effective. Here are the biggest Instagram advertising mistakes. This is the number one issue with Instagram ads. It’s not like TV or radio where people are accustomed to getting advertising mixed with the content. Blatant advertising on Instagram irritates users. Creativity. Instagram is a platform for sharing stories, pictures and videos. Stock images or overt ads signal to users, “This is an ad. Ignore it.” Then they scroll right by. Build your ads to look like Instagram posts with entertaining, amusing or inspirational content. Visual focus. Instagram is a visual platform. Too much text is boring for Instagram users. Keep the text in your Instagram ads minimal and your captions concise. Subtlety. Branding and logos are fine as long as they’re not blatant. Keep your branding and logos small so they’re not in people’s faces. Video. This one is super simple: use videos. Instagram videos get excellent engagement, so you don’t want to miss out on the opportunity. What to do: look at your Instagram feed and create a suite of ads that mirrors your feed in terms of post types and visual construction. Instagram is all about stories. Static ads with a static image and a call to action that says, “BUY THIS!” have no story. Ads that tell a story deliver the content that users come to Instagram for: stories (they’re called “Instagram Stories” for a reason, right?). If your ads tell a story, they’ll feel natural in the Instagram environment and people will thank you with engagement (and sales). What to do: create ads around answering a question your target customers have. Focusing on conversions in your analytics is a good thing. Focusing on conversions when you build your Instagram ads can hurt your conversions. We get it. Conversions are the point of advertising. But you don’t want your Instagram audience to detect your hunt for conversions. You’ll actually get more conversions if you focus on delivering value—amusement, inspiration, entertainment—when you build your ads. What to do: always include a call to action and a way for prospects to take the next step in the buying process, but be gentle with your ask. These methods get results because it shows that your brand is willing to participate in the Instagram community. It also gives people easy ways to engage with your brand and promote themselves. User generated content and influencer marketing makes your brand a member of the Instagram community rather than a necessary interruption. What to do: create a brand hashtag that your followers can use to show when they’re posting pictures of your product or brand. Repost these pictures on your feed to give publicity to your customers. Even when you follow Instagram advertising best practices, Instagram still tattles on you and tells users that your ads are ads. So, reward users for stopping at your ad. Include discounts to people who click through on your ads. Create exclusivity by offering that discount only on Instagram. Create multiple ads. Rotate through ads with offers and ads without offers. Otherwise, you run the risk of training users to ignore your offers. If the offers only show up occasionally, you’ll get more conversions from them. What to do: add a discount offer to one-quarter of your ads and run them one-quarter of the time. If you correct these issues in your Instagram advertising, you’ll find that your Instagram ads will start delivering. So give your Instagram ads a good audit. It’ll do your bottom line some good. Once you’ve got your ads improved, come back and leave a comment to let us know how much it improved your ROI!